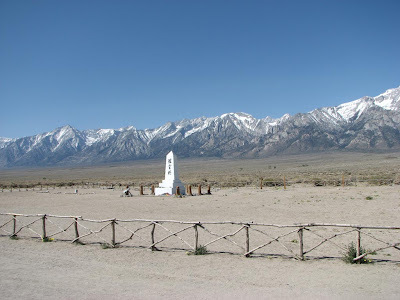 We stopped off to visit the Manzanar site and check out the museum and memorial they've constructed there. I was impressed with it. It didn't seem to be overdone and gave some insights into life for those unfortunate people interned there. I stopped to take some photos of the memorial at the cemetery. 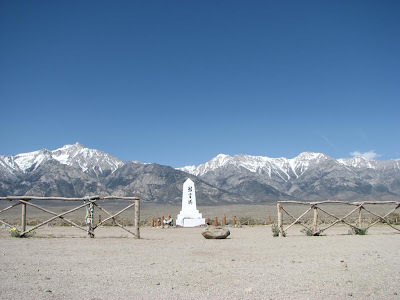 I wish more people would pull off the highway and visit this site. It's an important and horrible thing to remember.